If you are a professional hunter or sport shooter, there are many things to consider when looking to purchase your next rifle. Primarily, you’ll want to focus on the gun model and its constituent parts. For example, if you are interested in a Tikka rifle, you’ll want to consider compatible Tikka Chassis as well. Having a clear understanding of the entire gun will ensure that you can use your gun safely and effectively. In this article, we will feature a variety of Tikka-compatible chassis that you might consider for your next purchase. Kinetic Research Group (KRG) has a number of chassis available for every level of sport. Below are the top three recommended chassis for use with your Tikka rifle. The X-Ray Chassis is the chassis that comes in with the most value. This chassis is accessible and light, and its state of the art ergonomic design allows advanced comfort, all while maintaining a strong, durable, and stable core structure. 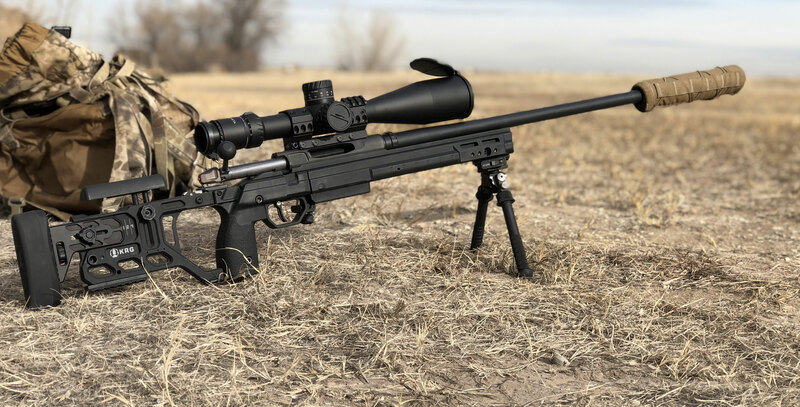 The X-Ray Chassis includes all of the standard accessories necessary for proper gun use and care, as well as a variety of mounting points for slings and barrier stops. The X-Ray also comes with V-bedding features for additional comfort. The X-Ray chassis is an essential tool, and it is brought to you without all the extra, complicated features that sometimes make the process of owning a gun challenging. With the X-Ray Chassis, you’ll be sure to experience it as simple, accessible, and user-friendly. The X-Ray Chassis is unique in its use of a hybrid aluminum-polymer material that keeps the chassis light. Additionally, the X-Ray chassis boasts one of the lowest prices on the market due to its innovative, low production costs. The experts at KRG have worked hard to bring you a chassis that fits perfectly with your Tikka rifle. The Bravo comes complete with all the baseline benefits of a chassis, combined with conventional target and varmint ergonomics. The careful, ergonomic design of this chassis was created to help any sportsman achieve those difficult shots with comfort and ease. The light, modular design of the Bravo Chassis comes pre-assembled and is AICS magazine ready. The secure backbone of this chassis model prevents flexing and ensures increased accuracy. The Bravo Chassis also comes with a 1-3 LOP spacer kit, which permits LOP of up to 14”. There are a number of easy-to-attach accessories that you may purchase to continue to outfit your rifle with to meet your specific needs. The Whiskey 3 Chassis is a top-of-the-line model, and one of the best currently available on the market. This model has advanced aluminum bedding and tool-less adjustments that make comfort and personal preference a priority. The special modular grip panels allow any shooter to accurately adjust to his or her preferred comfort level. The Whiskey 3 Chassis is compatible with many accessories, including handstops, sling mounts, rails, bipods, monopods, and so much more. The Whiskey 3 Chassis is available both in a fixed or folding stock version to meet your particular storage needs. With so many chassis options to choose from, it is clear that KRG is the place to go to find the model that’s right for you. The professionals at Kinetic Research Group are committed to helping you find the Tikka chassis that meets all of your needs and will happily walk you through the process of owning and caring for your rifle. In the process of finding the chassis that’s right for you, the experts at KRG will go to every length to ensure that you find a model that fits your comfort level, aesthetic preferences, and budget. To find out more, visit KRG online today! For more information about Tikka T3 Stock and Tikka Stocks Please visit : Kineticresearchgroup. Shop With Confidence At RESET Swimwear! Adidas Shoes – The best Name In Comfort! Women’s love for jewelry sorted!